When we find a fun fragrance, we will often try to capture it as an air freshener. We do it just for fun for the most part but I do keep strategic fragrances around for aroma therapy-like purposes. I keep lavender near my bed to help with sleep and rosemary and sage around the house to help with both mood and mental clarity. I love each of these fragrances and find that simply spraying a fragrance that you love is a mood-lifter. We found a fragrance we liked on a recent trip to the central coast, so much that we bought the plant at a coast nursery and are planting it here. 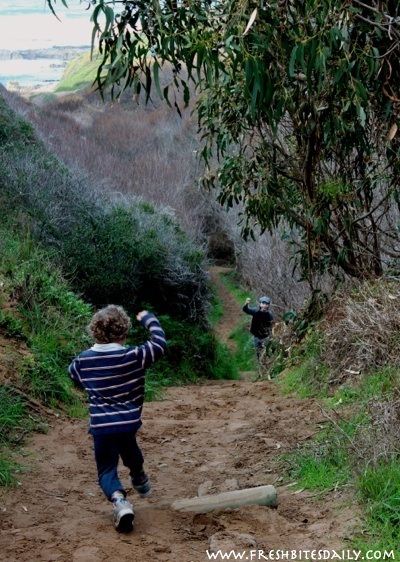 On occasion I have found my boys engaged in spraying “fights,” one with Cleveland sage and the other with the Sierra Nevada-specific “bear clover,” a highly fragrant plant that some people consider “stinky.” Bear clover and Cleveland sage do not make the best of perfume combinations. I can assure you that we have proved here that the combination will never make the marketplace. 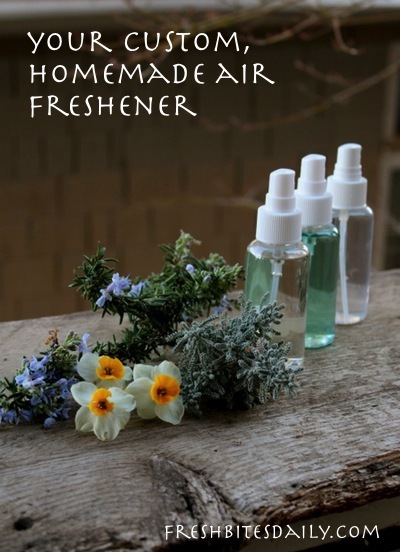 In any case, you may have far more fun than you ever imagined, crafting your own air freshener and spraying your brother with a “stinky” forest scent. 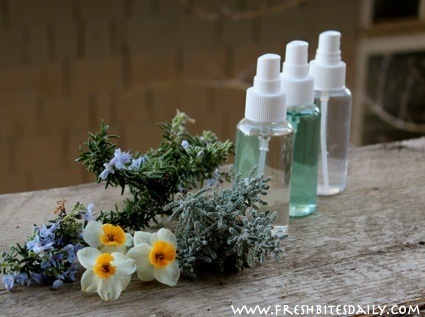 How can you get these fragrances from a leaf into a spray bottle? What if you only have an essential oil? It is straight-forward in each case. There are two simple approaches you can use if you have fresh herbs available. Each of these works with dried herbs too. Chop up your plant material. Put it in a jar allowing at least two inches of head room in the jar itself. Cover the plant with a high-proof alcohol, adding alcohol about one inch above the plant material (and more coverage if you are using a dry herb since it will absorb some of the liquid). Vodka works well. Shake the jar and store it in a cool, dark place for at least a week and for even a few months, shaking daily (or as you think about it *cough*). Strain out the herbs and save the alcohol which will now carry the fragrance of the plant. In a spray bottle, fill the bottle about 1/10 full of the alcohol. Add distilled water (or water) to the half-way point. Spray and test for scent. Add more water or more of your alcohol-based fragrance, to suit yourself. You can capture the fragrance of a plant in water using a stove top method of distillation. It’s a total hack but you’ll love it for playing around with scents. Read the instructions here. Use the herbal water straight as an air freshener or dilute it by half or more, depending on your preference. For a longer shelf life, keep it in your refrigerator. To a 2-cup spray bottle, add almost two cups of water. Add a tablespoon of vodka (since it has no fragrance itself, as compared to bourbon or such). Add 10-20 drops of your essential oil. Give it a shake and a spray. Adjust for your preferences. In our household, we use both of the methods for “fresh herbs” — alcohol extracts and hydrosols. I keep some of my favorite fragrances stock in both forms but when we bring in a new fragrance we’re experimenting with, the method I use usually just depends on my mood. Depending on the plant you’re working with, you may be dissatisfied with the level of fragrance you have captured. In the case of the alcohol extract, you can infuse the same alcohol multiple times as I describe in the case of mint extract (here). For the most part, I haven’t had an issue in getting enough fragrance using the hydrosol approach. In any case, this is a fun project to try. It’s simple and you get a customized product out of it.